Welcome to enjoy and participate! What is competitiveness greatest enemy? Probably it is an organization that chooses to administrate what is instead of leading toward how it ought to be. The result of such behavior is predictable. You cannot improve your competitiveness by just doing the same things again and again. Over 40 percent of the companies that were at the top of the Fortune 500 in year 2000 were no longer there in 2010. As well this statistics shows that the top businesses in the world are falling behind at an increasing rate! Why? Could there be any other reason than that they failed to be entrepreneurial and sharp their competitive edge? The classic quote “everything that can be invented has been invented” is wrong, has always been wrong and will continue to be wrong. The world has never been as it always has been. In fact, you change, technology changes, the competition changes, opportunity changes, and the world changes. Everything changes. Regarding changes and enterprise software; opportunity has increased in the last few years as wave after wave of disruptive technologies have swept across the IT landscape. Just try to imagine any business process that is not affected by social, mobile and cloud technologies as well as big data analytics and in-memory data processing. The challenge of becoming more competitive is not about lack of opportunity, but making the right choices about where your industry and business is going. The goal of strategy is to achieve a sustainable competitive advantage over rivals. Basically this can happen through a cost advantage or a differentiation advantage. A competitive cost advantage exists when a company is able to deliver the same benefits as competitors but at a lower cost. A competitive differentiation advantage exists when a company is able to deliver benefits that exceed those of competing products. Competitive advantage is a force that enables your company to deliver superior value for its customers and superior results for yourself. The secret of getting ahead is getting started. And in doing that, why not agree already from the outset that developing competitive advantage is not a straight road with no bumps but a process in which different options are set against one another to achieve a better result. When engaged leaders and colleges are discussing the company’s competitiveness and how to improve it, it happens that different opinions are expressed. This is not a bad thing. Because, if everyone is thinking alike, then no one is thinking. By bringing different perspectives into the conversation the frame of reference is broadened and the arguments are tried. A genuine business decision should be based on that different opinions are expressed – at least if it is going to have a chance to be the right choice and be effective. The answer to the question of which way a company should choose is always a choice between alternatives that are based on different assumptions about the company and the outside world. The answer may pose a risk as it can lead to changes in company business model and behavior. A decision of this nature is too important to be taken with immediate acclamation. It should not be based on divergent opinions being suppressed, but be a fully analyzed and conscious choice between alternatives. That disagreements become clear is healthy also in the long term. It is a major step towards an efficient management of the company. It enables the organization to collaborate better. Becoming aware of the differences of opinion makes it easier to understand each other’s reasoning, motives and actions. Hidden or only halfway clarified differences in terms of vision, goals, values, methods and processes underlie many of the problems that annoy and threaten to disrupt operations in different ways. Another strong reason for bringing differences of opinion in daylight lies in that the question of what the company is and how it is portrayed can never have one and only one correct answer for all time. Technology development and the changing needs of customers, partners, employees and competitors constantly offer new business opportunities and challenges. To continuously and correctly answering the question; how can we become more competitive? is the key to a rich and rewarding future. It is important, because your competitors can hardly be expected to just idle. Anyone who stops being better stops being good. It is as plain, challenging and scary as if your competitors are thriving and getting better and you are not getting better, you are getting worse! 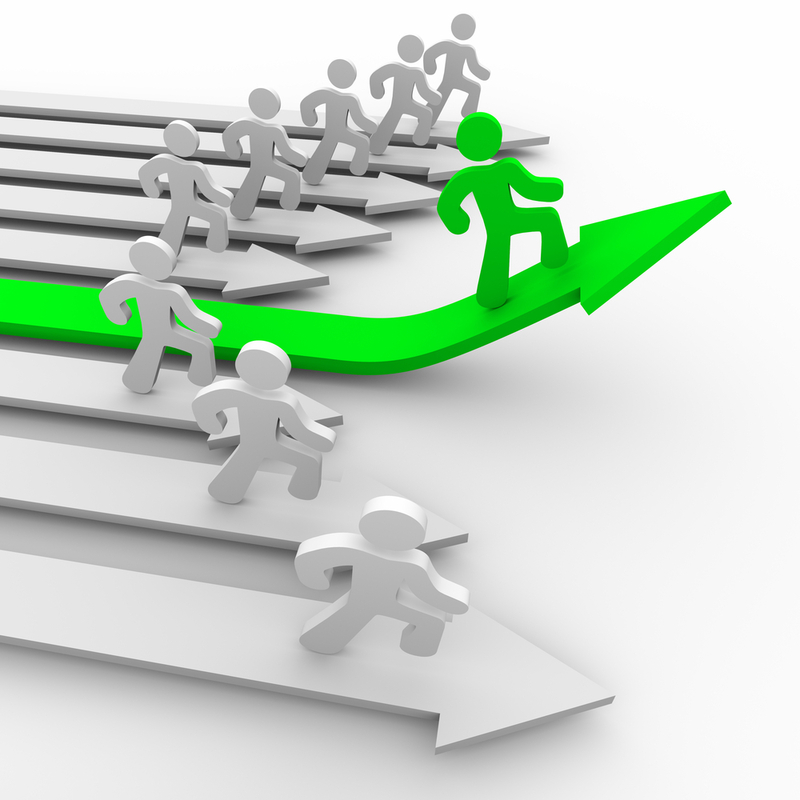 Developing competitive advantage means to cultivate your most valuable business asset! As discussed in the book Creating Competitive Advantage by Jaynie L. Smith, competitive advantage is what separates you from the rest of the field. It is what keeps your business alive and growing. In reality, it’s the reason you are in business. Many companies start out with a good idea, product or service that catches on. But as time passes, anything that is a good idea will either be duplicated or surpassed by competition. Thanks for reminding us about the demanding reality of capitalism!